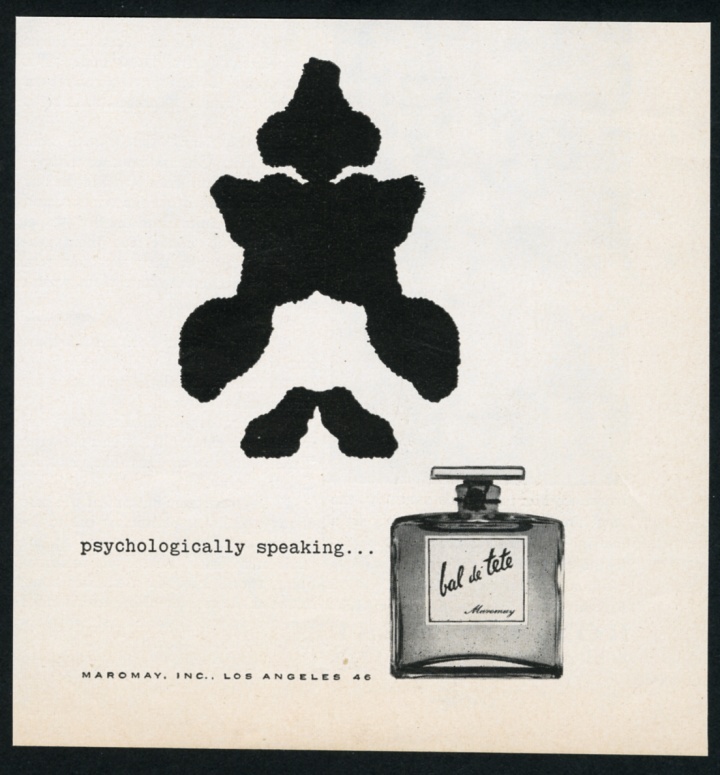 In his book, The Inkblots: Hermann Rorschach, His Iconic Test, and the Power of Seeing, Damion Searls describes the progression that led from Rorschach’s visual work with a particular patient—”a wall painter with artistic ambitions” for whom the existing techniques of talk therapy, dream interpretation, and word association were ineffective—to the development of his famous test and the reasons it has endured for so long. In the early twentieth century, klecksography, the art of making images from inkblots, was not only a popular parlor game—along with “readings” of patterns in tea leaves, coffee grounds, fireplace ashes and candle wax drippings—but also a method used by psychologists to measure the extent of people’s imagination, particularly children. 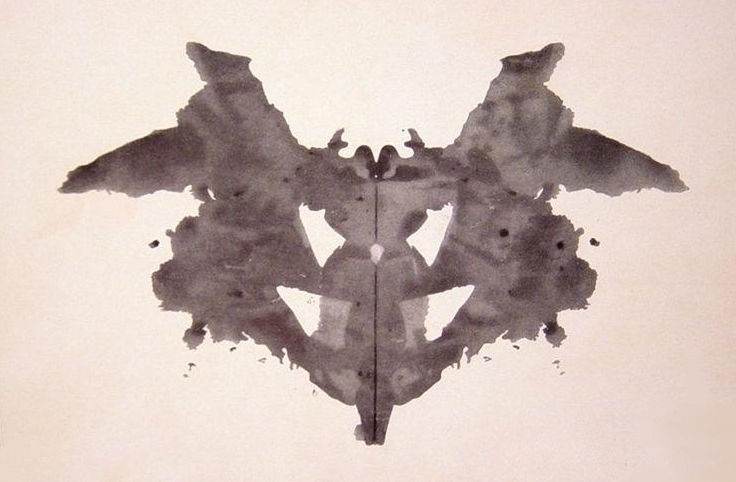 Searls ultimately insists that the resilience and power of Rorschach’s unique “visual psychology” stemmed from the fact that “we evolved to be visual” and therefore, “seeing runs deeper than talking.” The visual nature of Rorschach’s test—movement, color, form—was the key that rescued it from relativist uncertainty.